Author and political correspondent Laura Schwartz may have gotten her start answering phone calls in the press office, but the former White House director of events has since appeared on everything from the CBS' The Early Show to BBC World News. Today, Laura — who founded her company White House Strategies more than a decade ago — travels the world as a professional speaker with a serious knack for networking. 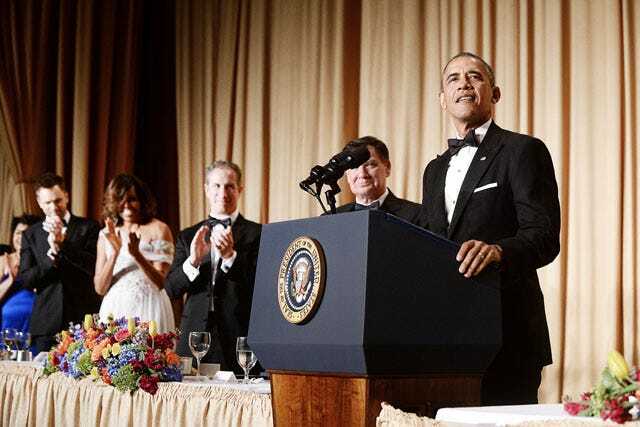 On one special night of the year, the men and women in D.C. trade in their pocket protectors and ID lanyards for pocket squares and custom gowns to attend the White House Correspondents’ Dinner at the Washington Hilton Ballroom. As I mingled through the pre-parties last week, the conversations focused not around polling numbers, but instead on what staffers and celebrities were wearing. What has become known as the “Nerd Prom” is now the coolest event in the capital. Founded 100 years ago, the White House Correspondents’ Association was created to guarantee the press access to the president of the United States. And, as we all know, with a great association always comes an annual dinner. This particular dinner, attended by every sitting president to date, started in 1920 by the all-male WHCA board, which barred women reporters from attending. That changed in 1962 thanks to a charge led by Helen Thomas, the first female member of the WHCA and a legend among White House reporters and staff alike. President Kennedy actually refused to attend the annual dinner until the ban on women reporters was lifted. Historically, the event has been a chance for news reporters to enjoy a night out and break bread alongside White House staffers, members of the Cabinet, their go-to sources for sought-after scoops, and of course, the policy wonks who run the world. The next day, the reporters go back to eating day-old sandwiches on the press bus and fighting with White House staffers who they feel aren’t giving them enough access to the president. 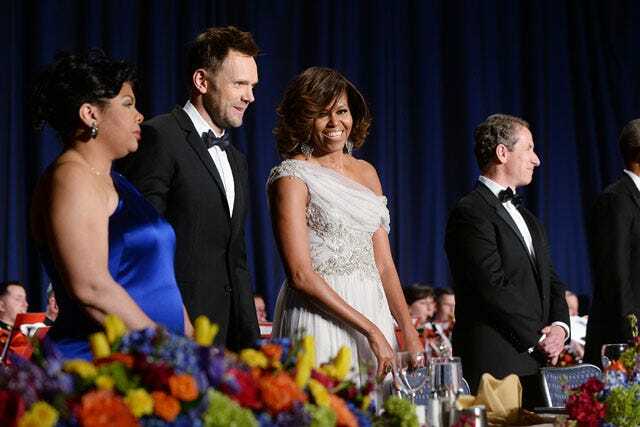 At its heart, the dinner is not only a black-tie occasion where celebrities rub elbows with D.C.’s elite — it’s also a journalism scholarship dinner. Though in recent years, it may appear more like the Miss America version of a scholarship pageant. In the early years, they actually had jugglers for entertainment — today, they're juggling A-list celebrities who the networks bring out to impress and outdo their competition sitting at other tables. The seating diagram that seems to work among the tables includes: one network correspondent or anchor from the news division, one White House Staff member, a Cabinet secretary, a policy wonk, and as many network celebrities their entertainment division can send them. Maybe it’s the influence of mainstream entertainment crossing over with Hollywood as we binge watch our favorite D.C.-based shows like Scandal, VEEP, Homeland, and House of Cards. Or, perhaps it’s the intersection of fundraising in Hollywood to put politicians in Washington. Or, it’s just kind of cool in a nerdy town full of people that rarely get out of the office — much less watch TV — to feel as if they are at the Emmy Awards for one night. It really is all of that combined. Since the Kennedys and Reagans, we’ve seen a crossover of Hollywood glamour at otherwise stale Washington events. And, after Barbra Streisand’s campaigning for a little-known Arkansas governor, and later, Oprah stumping for Obama, celebrity involvement in politics has just gotten bigger despite the backlash for being too commercial. I used to think that as well, but maybe it's been a positive cross section. Because of those A-listers and celebrity competitions among the tables, a whole new generation and viewing audience that may not be interested in politics are now paying attention to those that cover Washington — or at least what they are wearing/renting for the night. The members of the correspondents association are the government watchdogs and those that put themselves in harm’s way every day, whether in a war zone or the White House press briefing room; they are the ones who guarantee we have the information we need to be accountable. The White House Correspondents’ Association does not only guarantee access for correspondents to the White House but also to the world to know what’s going on inside. If these folks are nerds, then I don’t want to be cool. To order Laura Schwartz' book Eat, Drink and Succeed: Climb Your Way to the Top Using the Networking Power of Social Events, click here.